Ambient light, or available light, refers to the light that already is present in the location where you plan to shoot. This light could be sunlight or indoor overhead lighting. Typically, when using studio flash units indoors, the ambient light will be overpowered by the direct flash. However, it is important to factor in any ambient light in your flash meter readings to ensure a proper exposure. The aperture is the physical lens opening on your camera. It is adjusted to open and close in f-stop increments, allowing more or less light in with a larger or smaller opening. The iris diaphragm inside the lens of your camera is adjusted to alter the quantity of light that will reach your film. Each aperture opening, or whole f-stop, lets in twice as much light as the smaller whole f-stop before it, and half as much light as the larger whole f-stop after it. For example, f5.6 will let in twice as much light as f8, and half as much light as f4. The automatic mode is a setting on your camera that allows the camera to use its internal meter to automatically adjust the aperture and shutter speed for a shot based on the ISO and the available light. When using studio flash units, you cannot leave your camera in automatic mode, as its internal meter will not be able to detect the light that will be emitted by your flash units, and will thus be set to an inaccurate shutter speed and aperture opening, causing your picture to be overexposed. When looking at your camera’s settings, settings such as P, S, Tv, A, and Av are ALL automatic modes; M is the setting for the manual mode (refer to your camera manual for more info). Note that ISO can be set to Auto as well and must be set manually when used with studio flash units. Auto Focus, however, does not affect exposure and is okay to use. Einstein™ units draw an average current of 5 amps during recycle and AlienBees™ and White Lightning™ flash units draw an average current of 6 amps. This means that if a light were fired every time it recycled, the average current draw would be 5 or 6 amps. At the beginning of each recycle, the lights draw a peak current of about 16 to 18 amps for about 200 milliseconds. This is well tolerated by household circuits and breakers. A typical circuit breaker will tolerate three flash units in normal use. When the lights are idle and not being fired, the current draw is essentially that of the modeling lamp - 1 to 2 amps per unit. Beam Candle Power Seconds is the measure of effective intensity of a light source when it is focused into a beam by a reflector or lens. It is the effective intensity for a period of one second - a function of actual light output (candle power, or CP) as well as the modifier used (which is what turns it into a focused beam), very much like guide numbers. Modifiers can focus a light from almost omni-directional to an incredibly small point of light. A 100 CP light source and 100,000 CP light source can produce the same amount of light on a given point from the same distance, depending on how the light is spread. For example, if you take one AlienBees™ B400 unit with our 7AB/R 7-inch reflector (which spreads light 80 degrees) and another B400 with our 11LTR 11-inch reflector (which spreads the light 45 degrees), you will get two different BCPS measurements, even though the same amount of light (lumenseconds) is used. If you take our B400 with the 11LTR and a B1600 with the 7AB/R, you will get the same BCPS (at least closer), but you are emitting more light (lumenseconds) from the 1600 to do so. Lumens can be converted to candle power (1CP = 12.566 Lumens), though comparing the two different measurements is much like comparing kilograms to pounds per square inch. To illustrate this comparison, consider a 1 ton elephant (weighing 906 kg). Place the elephant on a cone, which focuses the weight to 1 square inch, you have 2,000 pounds per square inch (or 906 kg per square inch). Place the same elephant on a 2,000 square inch piece of plywood and you now have 1 pound per square inch (or .43 kg per square inch). The elephant weights the same. See also Lumenseconds. Bounced light is an indirect light source, where the actual light is pointed away from that which you wish to illuminate, and bounced off of a reflective surface back towards your subject. This can be achieved in flash photography with reflector panels, umbrellas, and even reflective surfaces such as a wall or ceiling. 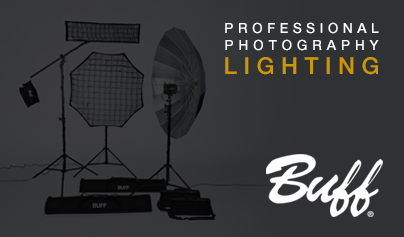 Bounced light is used when you desire a softer, less harsh light quality than is produced with direct lighting. When shooting, bracketing is taking several photographs of the exact same scene and setup with different exposure settings both above and below the target setting indicated by the flashmeter. As different brands of flashmeter vary in their readings for a “correct” exposure, bracketing both above and below the indicated settings will ensure that you get a properly exposed picture. If, for example, the indicated exposure for a setup is f5.6 with a shutter speed of 1/60 second, you can bracket for one stop less at f8, and one stop more at f4. When using the Cyber Commander™, the FLASH EXPOSURE BRACKETING option allows you to leave the camera settings the same, but change the flash output in the “BRACKET FLASH” screen. The color temperature refers to the color of a light source, measured in Kelvin. The color balance refers to the relationship between the color of light and the film. See also Kelvin. The contrast is the degree of difference between the dark and the light areas of a scene or photograph. High contrast photographs are a result of high contrast lighting, where there are sharp differences in the dark and light, and less in between. High contrast lighting can be achieved with both direct and bounced light that is not softened or diffused, but often reflected from a bright silver surface. The depth of field refers to the nearest and farthest points in your photograph that are in focus in your shot. A lens can only focus on one single distance fully, but with a wide depth of field, areas both closer and further from that one point are relatively in focus as well. Stopping down to a smaller aperture increases the depth of field, and will result in more of the photograph being in focus. Diffused light is softened light, with less shadows and more even coverage. A diffused light source is most commonly achieved by directing light through a translucent material, such as a diffusion shoot-through umbrella, a softbox, or a diffusion reflector panel. This terminology was originally used in 1985 by Inverse Square Systems in conjunction with their "Stroblox" series of high-efficiency self-contained flash units. The term was created because most manufacturers of flash equipment (as well as the press) insisted on the incorrect use of the term "wattsecond" as a definition of light output (in such wrong statements as "This system puts out 800 Ws of light"). Since the Stroblox system produced on the order of twice the amount of light per wattsecond as did the average "box-and-cable" system at the time, Inverse Square Systems chose to employ the rating "2400 effective wattseconds" as a means of saying "our system puts out an amount of light equal to the average 2400 Ws system,” even though the actual stored energy of the Stroblox 2400 was only 1200 joules or wattseconds. Indeed, this terminology gave the user a more clear idea of what to expect from the unit than he would have gotten had they simply stated that it was a 1200 Ws system. See Wattseconds. In a lighting setup, the fill light refers to the light source which is used to “fill-in” the shadows cast by the main light. This source can be a flash unit, or simply a reflector that is directed on the subject to illuminate the shadowed areas and lessen the contrast. A filter or gel for a flash unit is a thin piece of tinted or colored gelatin placed directly over the light source to alter the quality of the light’s output. Gels will physically change the color of the light, whereas filters will modify its quality. We offer color gels, warming filters, diffusion filters, UV filters, and neutral density filters. When a typical variable voltage flash system fires, although it may appear so to humans, the light emitted does not come on and go off instantaneously. In reality, the flashtube "turns on" very quickly and then dims gradually as the flash capacitors discharge. When the tube is fired there is a rapid ionization period as the tube output rises to maximum brightness. This is followed by an exponential decline in tube current, voltage and light as the capacitors are discharged to zero. The standard engineering term for stating flash duration is t.5. This describes the time that it takes for 50% of the total flashpower to be dissipated. Whenever the simple designation Flash Duration is specified, it can be assumed to be the t.5 specification. However, the t.5 specification doesn’t adequately predict the actual motion freezing capability of a flash. There is a much longer trailing edge that continues to emit the remaining 50% of the light. This causes considerably more motion blur than the t.5 specification implies. In order to better compare flash duration specs to an equivalent shutter speed, the term t.1 was introduced by the photo industry. The t.1 specification indicates the amount of time that it takes for 90% of the total flash to be emitted. But even following the t.1 time there is still light being emitted at sufficient intensity to cause some ghosting or motion trails. Flash units using variable voltage power control (including the Paul C. Buff™ AlienBees™, White Lightning™ X-Series and Zeus™ flash systems) typically exhibit an increase in flash duration roughly equal to 20% of the full power flash duration being added for each full f-stop in power reduction. Conversely, flash systems using IGBT control (including the Paul C. Buff™ Einstein™) offer faster flash durations as the power is decreased. In an IGBT flash, the voltage and current remain constant as power is reduced and that power is reduced by abruptly shutting the tube off once the desired amount of light has been emitted. This results in flash durations that become shorter and shorter as power is reduced, as well as the virtual elimination of the exponential flash tail that is responsible for motion blur. This is illustrated in the figures below. An f-stop is a designation to indicate a camera’s aperture opening. It is also used to describe a change in exposure (from changes in aperture, shutter speed, ISO, flash output, etc.) equivalent to one f-stop change in the lens. Each f-stop (shown on the back panel of our flash units) lets in twice as much light as the f-stop before it, and half as much light as the f-stop after it. For f-stops in relation to your camera’s lens opening, see Aperture. For f-stops in relation to flash adjustment, see Power Variability. The Guide Number (GN) is a standard measurement serving to indicate a flash unit's output by calculating the distance times the f-stop, with respect to the film speed, relating the film speed to the actual flash output. A guide number is determined by placing the flash unit at a desired distance from the subject (usually 10 feet) and metering with an accurate flash meter. The guide number can be calculated from the distance and the f/stop (GN = f/number x flash-to-subject distance). The term is not wholly reliable for comparing flash units because it relates more to the angle of the reflector than to the actual amount of light produced. For example, a flash unit with a given amount of light output will register a much higher guide number (f-stop at 10') if it has a narrow angle reflector (for a telephoto lens) than if it has a wide angle reflector. The actual amount of light is the same in both cases, it just covers more area with the wide angle reflector (at a lower guide number). In comparing flash units, the max GN of a flash unit is usually given for ISO 100 film. When it comes to choosing a flash unit, you have to be careful, as these measurements can be altered. It is common practice within the flash unit industry (for marketing reasons) to provide the max GN at the smallest coverage, as this will provide the longest focal length. Such a focused flash unit is more powerful, which produces a higher guide number, implying a more powerful output. Therefore, the max GNs of different flash units are usually not directly comparable. Studio flash units are designed to be used in many different configurations with different accessories. The angle of coverage will be different in each case as will be the achieved guide number for a given amount of emitted light. As merely an indication of output, we publish the max guide numbers, noting that they are not true measurements of what you can do with our lights, as the real output will be determined by how you choose to modify the light. Highlights or hot spots are very bright, well-lit and often overly lit areas in your setup. Hot spots appear when one area of your scene is overly lit, and can be avoided by diffusing or lowering the output of light on that area. A hot shoe is a u-shaped mounting point, usually found on the top of SLR cameras. The shoe provides slide-in mounting of small, battery operated flash units. In addition, it provides an electrical circuit connection which fires the flash when the shutter is tripped. If your camera does not have the necessary PC-connection to wire our flash unit sync cord, you can purchase a hot shoe adaptor piece, which fits in your hot shoe, and allows the sync cord to be plugged into your camera.